The Law Offices of Robert H. Goodwin, LLC in New Brunswick, New Jersey represents individuals in New Brunswick and throughout central New Jersey's Middlesex, Somerset, Union and Monmouth Counties in matters of divorce / dissolution, mediation, wills & estates and more. The Law Offices of Robert H. Goodwin, LLC was established in 1999. Prior to that, Robert H. Goodwin, Esq. was a partner in the law firm of Venturi, Goodwin & Brockway, where he specialized in all aspects of family law. In 1976, he began his career as the law clerk for the Honorable Herman L. Breitkopf, J.S.C. of the Middlesex County Superior Court. For many years, Mr. Goodwin engaged in general practice with a special emphasis on family law. Since 1991, he has focused on this specialized area. In more than 35 years of practice, Mr. Goodwin has represented thousands of litigants in both contested and uncontested divorces. In 1999, Mr. Goodwin obtained his certification to become a court-approved economic mediator and was a part of the initial group of mediators who participated in the pilot program. Since 2007, when the pilot program became an official statewide program, Mr. Goodwin has been selected as a mediator in both Middlesex and Somerset Counties by his fellow attorneys and the presiding judges of both counties. In addition to being a member of the New Jersey Bar Association Family Law Section, Mr. Goodwin is an adjunct professor at Middlesex County College and a lecturer for the National Business Institute, where he has lectured on family law-related subjects. He also holds the position of Senior Prosecutor for the City of New Brunswick, where he prosecutes one afternoon and evening weekly. In addition to his professional background, Mr. Goodwin participates in public outreach. He is the host and moderator for 'Law on the Line,' a TV program sponsored by the Middlesex County Bar Foundation, a charitable association. 'Law on the Line' is a half-hour show filmed for Piscataway Community Television, available throughout New Jersey on Channel 15 for Cablevision and Channel 40 for Verizon FiOS. The show invites guests to discuss a variety of areas of law and seeks to bring detailed knowledge of the legal profession to the public. As your attorney, Mr. Goodwin works tirelessly to help secure positive results. To schedule a free initial phone consultation and find out how the firm can help you with your legal concerns, call the Law Offices of Robert H. Goodwin, LLC at 732-828-0709 today. Dedicated attorney providing cost-effective solutions to clients' legal problems: The Law Offices of Robert H. Goodwin, LLC strives to provide cost-efficient solutions to your legal problems. Robert H. Goodwin's approach to your case is: Compassionate - Robert H. Goodwin understands that legal problems can be very stressful, both emotionally and financially. He works diligently to understand all of the important details of your individual legal situation so that he can determine the best course of action. Aggressive - When necessary, he provides aggressive representation for clients' rights to help you secure your goals. His professional courtroom demeanor and tenacious assertion of your rights help you secure your goals. Experienced - He has more than 35 years of experience providing clients with the best-possible legal representation. With the knowledge he has obtained, he can build effective strategies to help you achieve the desired results. Skilled practice focused on matters of family law, wills and estates: The Law Offices of Robert H. Goodwin, LLC provides quality legal services in matters of divorce / dissolution, mediation, wills & estates and more: Divorce / dissolution - In his divorce / dissolution practice, Robert H. Goodwin helps clients through the challenging time of divorce or the dissolution of a marriage. By using his negotiation skills at mediation or rigorous representation in litigation, he can help you achieve a fair and equitable settlement. Mediation - In mediation, he is an experienced mediator who can help you secure the best-possible settlement or arrangement while preserving an amiable relationship in matters involving the distribution of assets, child custody, child support and visitation rights. Wills & estates - In his wills & estates practice, he helps clients plan for the future and for the future of their families in all aspects of wills and estates, including estate planning, estate tax issues, choosing an executor, guardianship, wills, trusts and probate. The dissolution of a marriage involves crucial decisions about the welfare of your children and the equitable division of your assets. 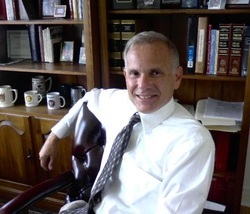 Robert H. Goodwin at the Law Offices of Robert H. Goodwin, LLC has more than 35 years of experience in divorce law. He consider all aspects of your divorce case to develop the best-possible solutions regarding: -Child custody and visitation rights -Child support -Distribution of personal property, bank accounts, stocks and other assets -Division of marital debts -Sale or possession of the marital home -Spousal support and temporary support Effective family law mediator: Mediation gives you and your spouse the opportunity to negotiate a divorce settlement in a structured setting through a trained facilitator. The mediation process fosters cooperation between partners, and it removes the unpredictability and uncertainty associated with litigation. Mediation often reduces the time and cost of divorce, and it places the decisions in your hands. Robert H. Goodwin is an experienced negotiator who can help you obtain the most equitable divorce settlement, fair child support agreement and healthy child custody arrangement. Skilled family law litigator: Sometimes litigation is necessary to reach a just and equitable resolution of your family's disputes. Through tactical trial strategies and a professional courtroom presence, Robert H. Goodwin is a skilled litigator who can successfully represent you throughout the adversarial litigation process. He is prepared to handle the complex aspects of your divorce methodically - to obtain the most favorable trial outcome. -Warren K. Racusin, Esq. ; John V. Strong, Esq. All Aspects of Family Law including but not limited to: Alimony; Child Support; Cohabitation Agreements; Child Custody; Divorce, Complex & Simple; Domestic Violence & Restraining Orders; Domestic Partnerships; Guardianship; Paternity Disputes; Post Divorce Modifications; Prenuptuals; Parenting Time Issues; Wills; Estates; and Residential Real Estate Closings. All Family Law issues - Court Approved Mediator pursuant to R.1:40 of the New Jersey Court Rules.